Yeabsra’s goodbye party at iFinance Canada Inc. 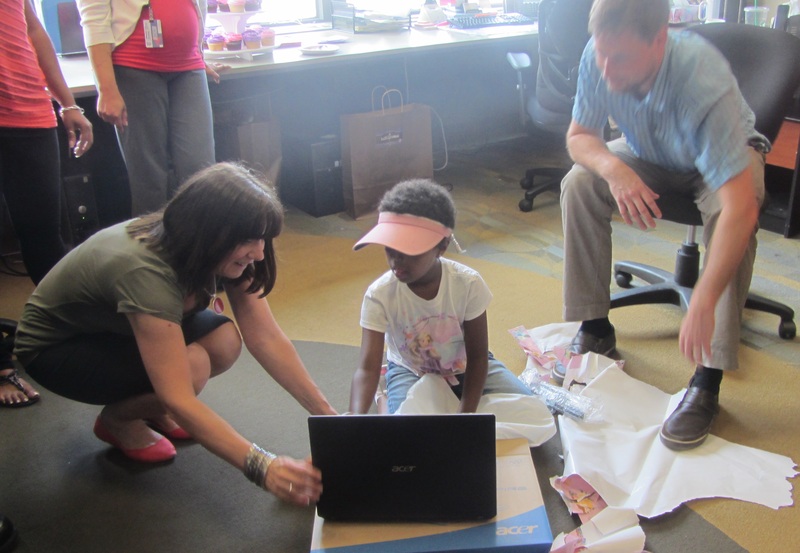 Yesterday, iFinance Canada Inc. gifted Yeabsra a laptop. The staff raised money for the laptop so that she would be able to take it home to Ethiopia and stay in touch with her Canadian friends. 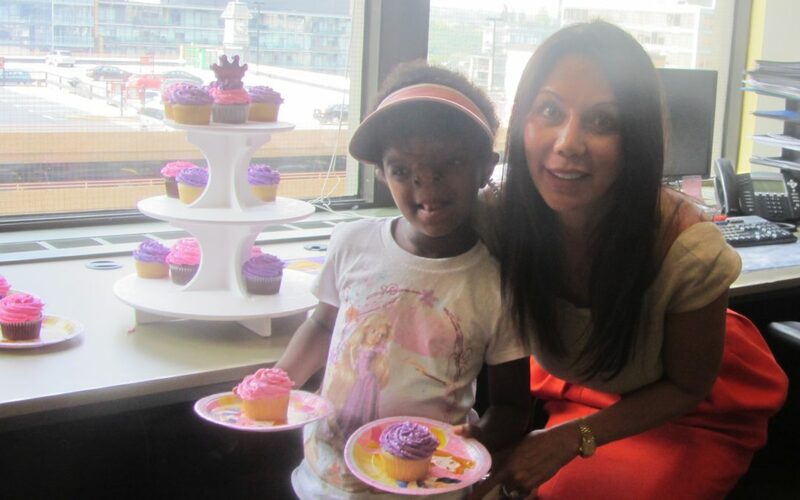 Yeabsra poses with her cupcakes and iFinance Canada Inc.’s Ann Kaplan, left, and at right with iFinance staff. The Staff of iFinance Canada Inc. also fundraised for Yeabsra and Aynalem’s most recent trip to Canada. 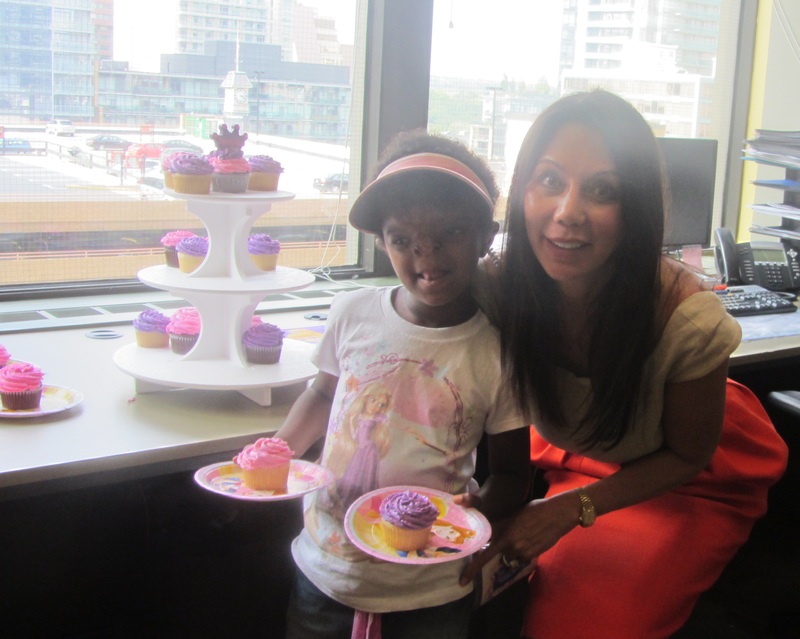 A big thank you to the staff at iFinance Canada Inc. for their continued generosity. Want to fundraise for us? Click here to download some new fundraising materials. Help us close the gap in cleft care!